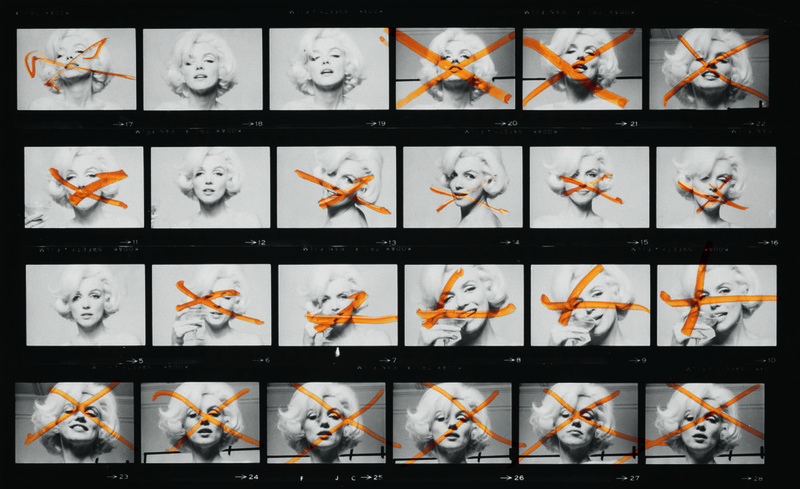 The best-known example of this aesthetic obviously is the series of contact sheets from Marilyn Monroe's final photo session with Bert Stern which have been published and displayed with Marilyn's hand drawn X's through shots she didn't like. 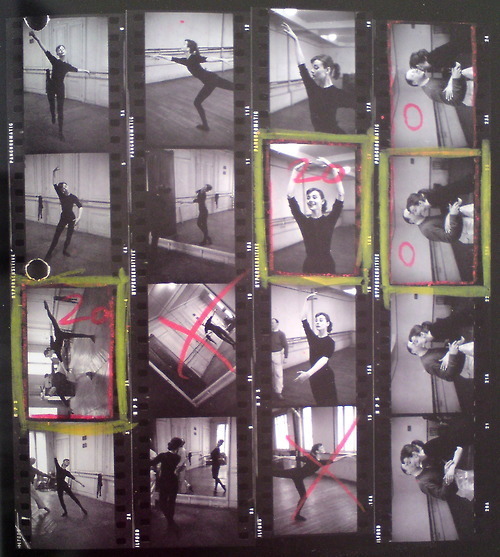 There is something thrilling about seeing a contact sheet even without notations that makes me feel like I am behind the curtain. Why? 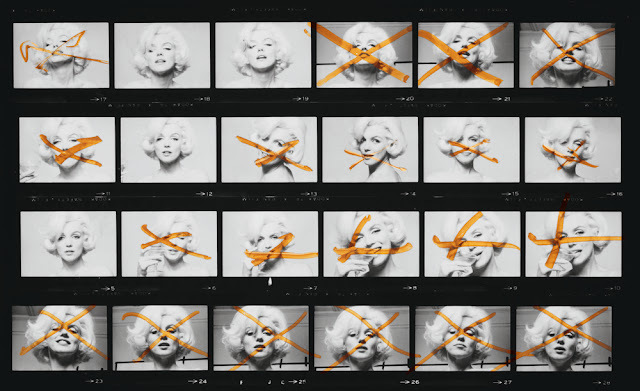 I think because the contact sheet is evidence of artistic process and, when marked, lets us in on the post-creation creative deliberative process - and, in the case of Marilyn's markings, collaborative process. Plus, it invites us to participate in that process - "ah, right, that one is not as good." 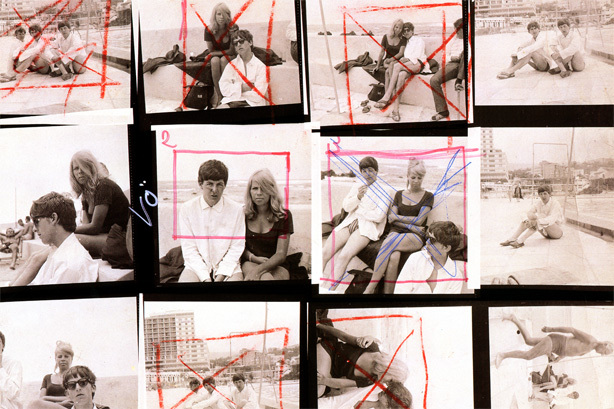 If we thought the red X was an artistic flourish, would it excite as much?